This series examines issues and economic matters particular to small businesses. The term Small Enterprise (or Small Organization) is sometimes used for this same category of business or organization. A small enterprise/organization may also be a nonprofit organization. 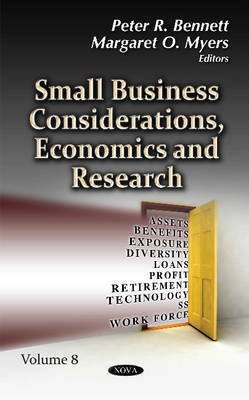 This volume covers several topics including programs and funding for the U.S. Small Business Administration (SBA); an overview, history and current issues for the SBA Office of Advocacy; legal authorities governing federal contracting and subcontracting with small businesses; and the European Union's Small Business Act.